Sleeping well is a habit that you can actually learn and practice. 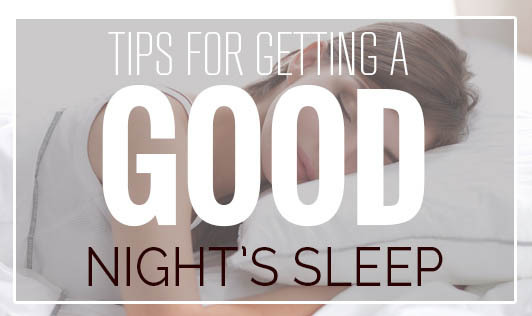 Start introducing the following changes for a good night’s sleep. Stay away from caffeine, tea, and aerated beverages after 4pm. Keep your last meal light and fairly bland. A big, spicy meal can induce acidity, gas, and bloating, all of which interfere with sleep. Never go to bed hungry. It is better to eat a proper meal before bed than to raid the fridge in the middle of the night, another big spoiler for sleep. Minimize your alcohol intake after 8pm. Alcohol consumption interferes with sleep. A mid- to late-afternoon brisk walk or a 5pm workout will tire out the body and help you fall asleep sooner at night. A late afternoon power nap of 8 to 15 minutes is okay, but a 2 to 3 hr nap is a strict no-no. No matter how tired you feel, try to stay engaged in some activity. Drinking a soothing drink like chamomile tea or just plain-old milk. Showering or a cleansing routine that involves washing your face and brushing your teeth. Picturing nice things while in bed (think of 5 positive things that happened during the day- big and small). Practice a breathing exercise. Place one hand on your stomach and the other on your chest and deliberately slow your breathing. Breathe deeply from your stomach instead of your chest. Practice these religiously for better long-lasting results.